Updating your billing information in mHelpDesk and adding or removing user licenses can be done in a few simple steps! Click your name in the upper right hand corner of your mHelpDesk screen, next to your picture, to access your profile. Click My Account in the drop-down menu. 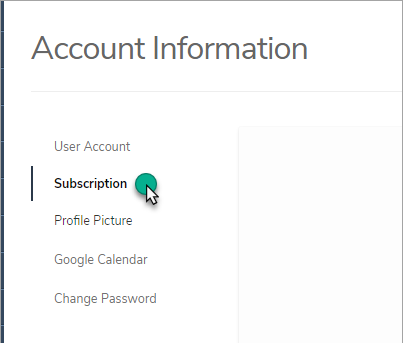 Click Subscription from the left hand menu. Next to the Billing Information section, click Edit. 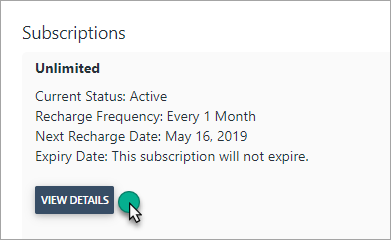 Inside the Self-Service Billing Portal, you can add additional user licenses by clicking View Details (above) and adjusting the number of user licenses on your account, then clicking Apply. Please keep in mind that if you are removing a user you will have to Revoke Access from mHelpDesk first, and then remove them on this page. 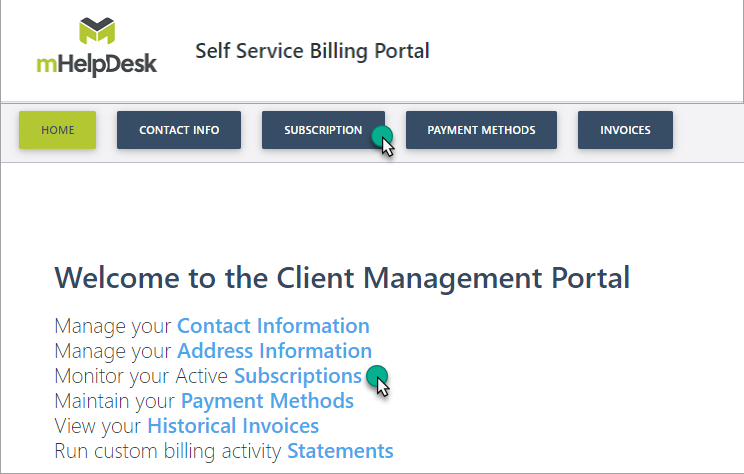 In the Self- Service Billing Portal, click the Payment Methods button. 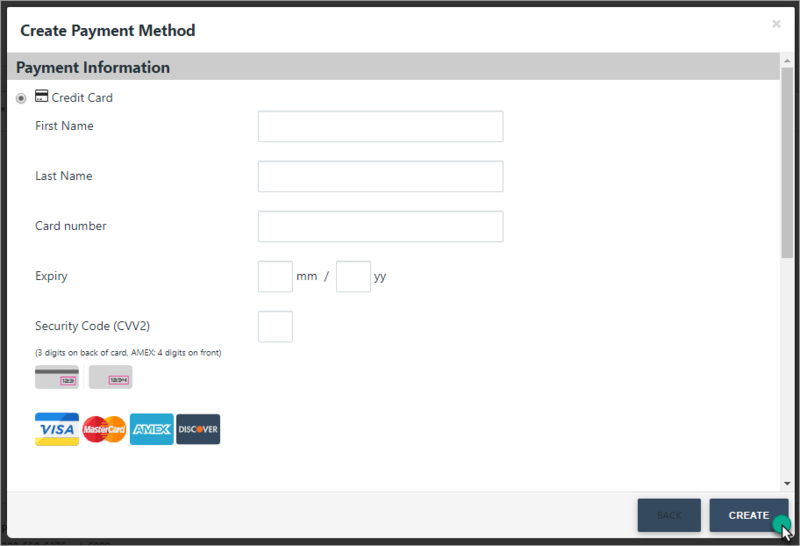 Enter Payment Method details, click Create. If you aren't changing your plan or adding users, and are just updating your credit card information, there won't be charges to your card. If you are changing your plan or adding users you will see the total amount reflected in the box below. If you are just updating existing Payment information, click Edit next to the payment method you wish to update. Once updated, click Update. If there is a payment option, the checkbox will appear (as above).